If a micrometeoroid strikes the Lunar Reconnaissance Orbiter more than 230,000 miles from anyone around to hear it, does it make a sound? Yes! That’s the frankly remarkable finding of Alex Parker, a planetary astronomer at the Southwest Research Institute. 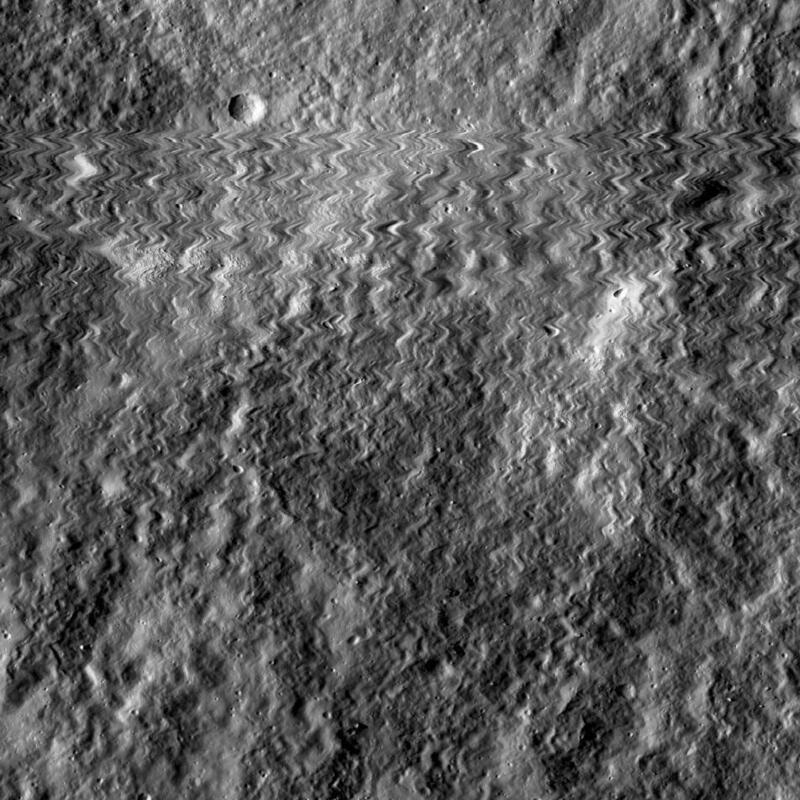 Parker was looking at images from the LRO — a NASA science robot oribiting the moon — and spotted the telltale vibrations of a micrometeoroid strike on one of the $504 million gadget’s cameras while a picture was being taken. Now, sound doesn’t travel in the vacuum of space, and the LRO doesn’t have microphones. But sound does travel through the solid workings of an orbiting camera. And Parker, an expert in this kind of image analysis, was able to convert the vibrations on the image into a playable sound file. The wobbles are from the camera vibrating while the imager was scanning across the scene. Those vibrations were high frequency: i.e., sound. The exposure time for each line in this image is 0.6192 milliseconds, giving an audio sampling rate of 1615 Hz. Pretty low, but still. So, what does it sound like when your space camera is struck by a micrometeoroid?